Have to think of a new soup for your menu again?! 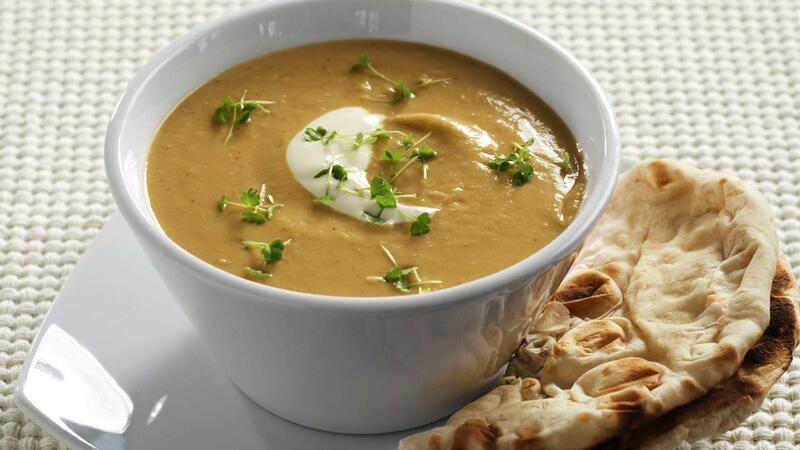 Try this one, so simple and full of flavour thanks to the surprising addition of Korma sauce. In a large pot, cook the celery, garlic and oil until lightly golden. Add the KNORR Patak's Korma Sauce and stir for 1-2 minutes until fragrant. Add Cauliflower, potatoes, water and KNORR Vegetable Booster and bring to the boil, stirring occasionally. Simmer for 10 minutes and remove from heat. Blend with a stick blender until smooth. Serve soup hot with a dollop of Greek yoghurt and garnish with your choice of herbs.